AutoCanada President Steve Landry says that to get stock prices back up, the business will focus on the retail experience for customers. Canada's largest publicly-owned auto dealership group is determined to prop up its stock value after a year of significant changes in its executive structure. 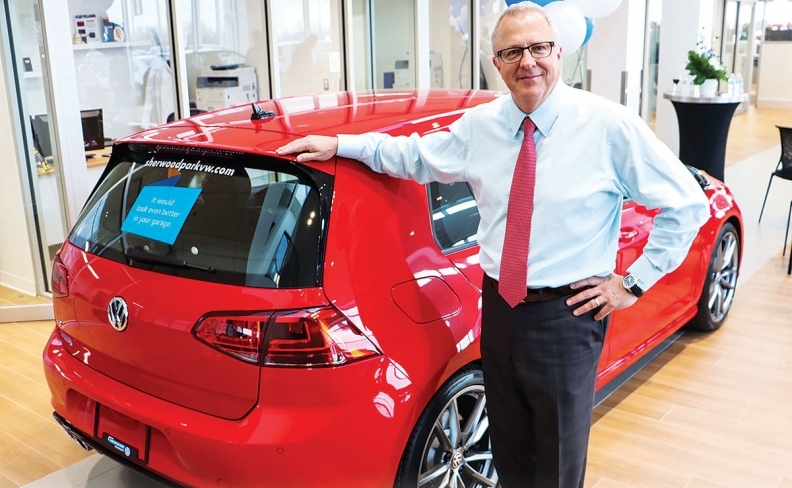 Improving the efficiency of dealership operations, managing financing and debt, and expanding its brands and dealerships is a viable business model at a time when falling oil prices, unemployment and a drop in auto sales in Alberta have hit the Edmonton-based company, said Steven Landry, president of AutoCanada Inc. The company’s basic earnings per share dropped precipitously over the last two years, falling to just nine cents a share in 2016, from 93 cents in 2015. In 2014, it was $2.31 a share. “If you can’t control the industry and you can’t control oil, what you can do is manage your way in those environments,” Landry said in an interview with Automotive News Canada. AutoCanada hired Landry in April 2016 to replace Chairman Pat Priestner, who founded the company 10 years ago (and retired in May 2017). That was followed a few months later by the retirement of chief operating officer Steven Rose and then the resignation of president Tom Orysiuk in March 2017. Landry, who had previously worked in a senior role at energy company ATCO Ltd., and before that in various positions with Chrysler, took over as president following Orysiuk’s resignation. The company then announced the hiring of Mark Warsaba as senior vice-president/chief operating officer, focusing on dealership operations. He had been with the company since 2013, operating two dealerships in Winnipeg. Along with Christopher Burrows, AutoCanada’s chief financial officer, and Erin Oor, vice-president of corporate development and administration, Landry said he has the team in place to move the company forward. When Landry took over as company president in 2016, AutoCanada was trading at $18 a share. While the company’s stock rose to more than $22 in Landry’s first full year, that’s still far below a high of $79.69 in June 2014. Landry calls those the “rock star” years. Landry said his focus is winning the customer battle, both in terms of selling new and used vehicles, and parts and service. As part of the plan to grow geographically and by brand, AutoCanada acquired a Mercedes-Benz dealership in the Montreal area in April. The Investment Reporter, which does analysis of stocks, reported in its March issue that AutoCanada is a “buy” for long-term share price gains and modest dividends.